Agriculture Director General Dr. W.M.W. Weerakoon yesterday told the Daily News that he has decided to cancel the leave of field staff of the Extension Service of the Department of Agriculture with effect of January 21, 2019 due to the Sena Caterpillar menace which has now spread to all parts of the island. 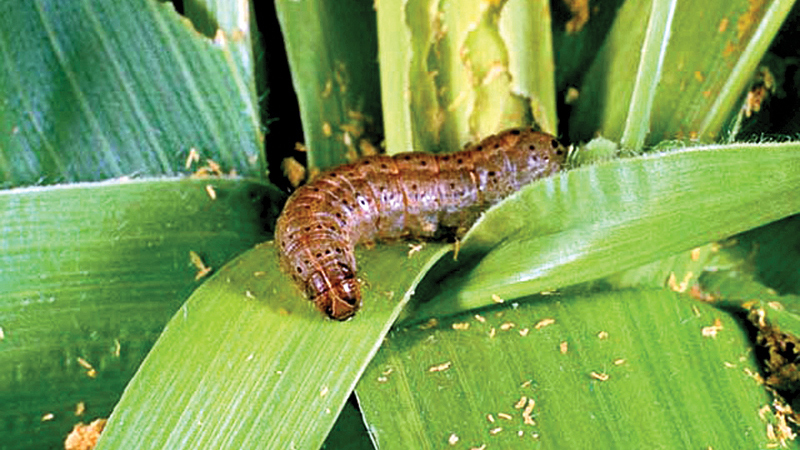 The Director General said that filed officers islandwide are aware about the danger of this pest and instructed them to take immediate measures to control the spreading of Fall Army Worm by preparing daily reports followed by regular inspections. “Since this is a very sensitive issue which would affect the country’s food security, all Agriculture Department officials should actively be involved in the process of controlling this menace,” he added.